Join the AWIWA Celebration events in Melbourne – there’s two events to choose from! Both events are taking place on Friday 16 November 2018. LUNCH – Watch LIVE the announcement of the 2018 Women in Wine Award winners, streamed directly from the award presentation in Sydney. EVENING – A wine party to announce our WSET scholarship award winners and watching a replay of the 2018 Women in Wine Award winners. This year’s winners will be announced at Australia’s first ever Women in Wine Symposium in Sydney over lunch. For those cannot make it to Sydney, come watch the awards over lunch in Melbourne. For those who have not been to any of the Claypots restaurants, it is food to share – seafood and vegetation. The night event will include the awarding of the WSET scholarships, re-playing the awards, the drawing of our annual raffle to raise money for the scholarships and lots of fun times. We will continue the Melbourne tradition of BYO bottle of wine to share. 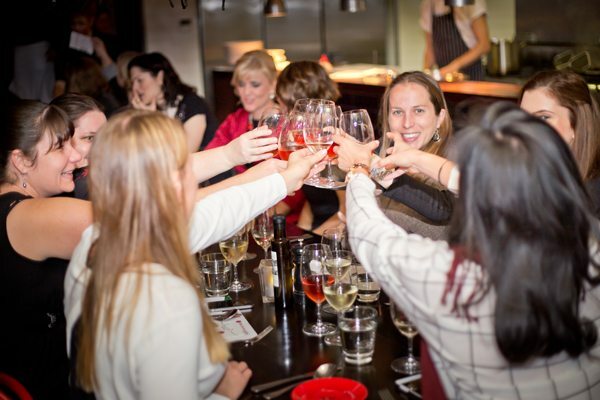 The $45 per person cost will include 5 raffle tickets, a selection of Claypots fantastic seafood and vegetarian dishes and, last but not least, the chance to connect and re-connect with your colleagues in the industry and supporters of women in wine.